This page is about the French jet fighter M.D.450B Barougan. 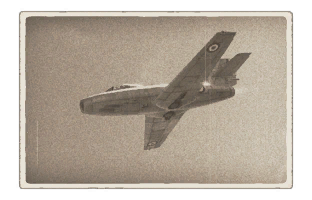 For the "Ouragan", see M.D.450B Ouragan. The M.D.450B Barougan is a Rank V French jet fighter with a battle rating of 7.7 (AB/RB/SB). 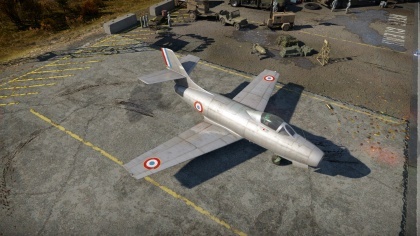 This aircraft was introduced in Update 1.73 "Vive la France". 13.5 mm Steel plate in the nose. 13.5 mm Steel plates behind pilot. The four machine guns are clustered on the underside of the fuselage, directly below the pilot. Each is armed with the same amount of ammunition, which means that all guns will fire with each other until empty.